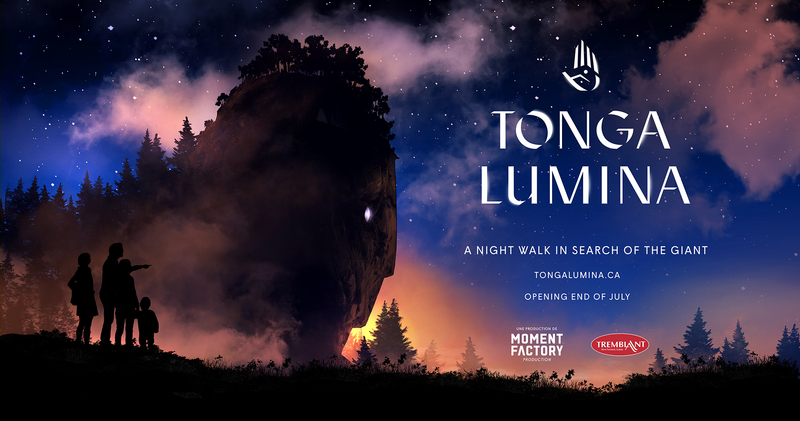 The upcoming summer months will be showcasing a new lineup of discoveries and experiences including Tonga Lumina, a night walk created and produced by Moment Factory, plus all-new evening family entertainment. 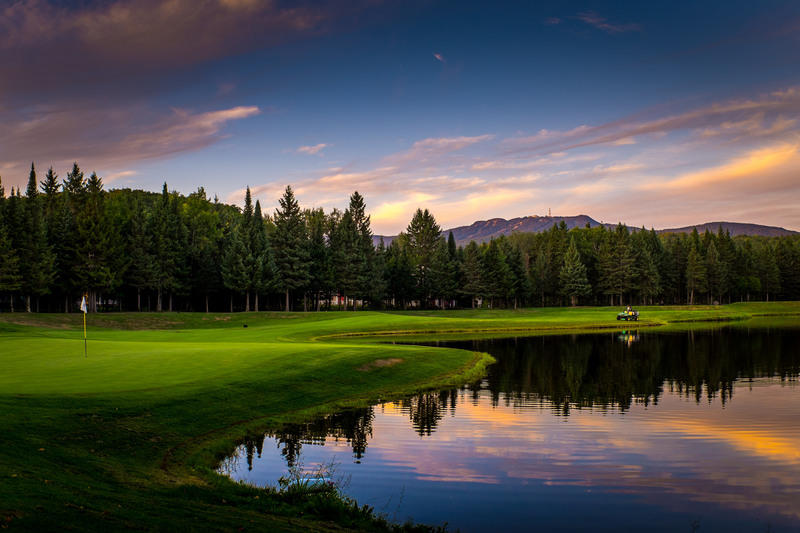 Summer starts early May when Tremblant’s golf courses Le Diable and Le Géant open, followed by an exciting list of sports events and renowned artists headlined in free shows. 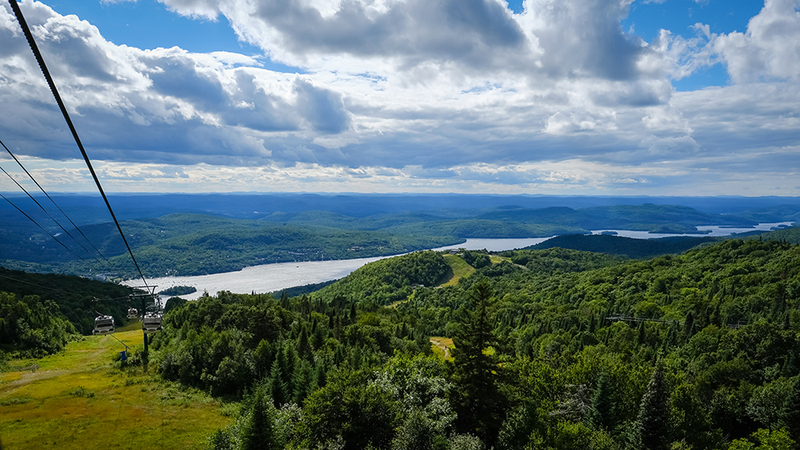 With a wide array of events and new businesses to discover in the pedestrian village, everything is set up for families, sweethearts and friends to enjoy a custom stay at Tremblant. Every day from late July until Thanksgiving weekend, Tremblant’s deep nature environment sets the stage for a singular Moment Factory production: an immersive and interactive illuminated night walk in search of a sleeping giant who, legend has it, calls Mont Tremblant home. Whenever he awakens, all his descendants return to this sacred land to seek out his ancient wisdom. Participants are invited to don the amulet and follow a mysterious path deep into the heart of this enchanted mountain, to discover the secret the giant has to share. Each visitor receives an interactive amulet unique to Tremblant: it serves to enhance their experience as they progress through the night walk. Open to all after sundown, the night walk begins in the pedestrian village with a ride on the Flying Mile lift. From its midway station, the adventure plunges thrill-seekers into an audiovisual universe showcasing the mountain’s natural elements, on a 1.5 km maintained forest trail. Tickets are scheduled to go on sale early June, at tongalumina.ca. What’s New in the Pedestrian Village? Casino de Mont-Tremblant: New electronic gaming and entertainment area, opening June 22. In just a few days, two championship golf courses will be welcoming their first players of the season. Le Géant with its elevated plateaux and generous lake or mountain views opens May 12 while Le Diable and its daunting red sandtraps opens May 19. Sign up for the Tremblant Golf Academy’s spring lessons running from May 13 to June 16, and buy T-Golf tickets until June 20 at 46% off the regular price.